I really liked this book. It gave a great incite into what it takes to get into a film festival though a marketing perspective. When making a movie this is great for providing information on stuff to keep in mind if you want to make money on your movie. He talks about how to get into parties and what your press kit should have. I find this information really valuable when making movies and writing scripts. This book is like produce, it was too old and smelled before it hit the shelves. In an increasingly "event-driven" cultural environment, film festivals have become indispensable venues for exposure and promotion. Yet are Cannes, Sundance, and Toronto being sabotaged by their own success? Do these festivals truly serve the needs of cinephiles, as well as the larger public? This multifaceted collection of essays, memoirs, and impassioned polemics explores the decades-long debate over these controversial questions. 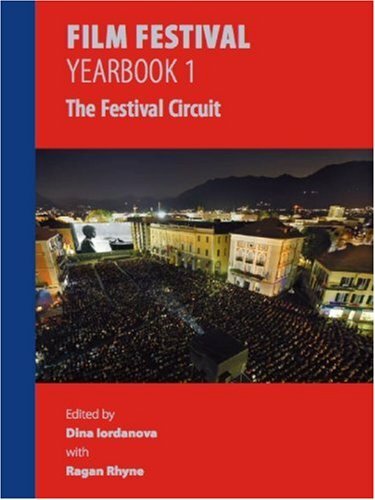 Featuring a distinguished array of critics and programmers, the anthology begins with the first appearance in English of AndrÃ© Bazin's 1955 essay "The Festival Viewed as a Religious Order" and follows with essays examining the ongoing tension between market-oriented "business festivals" and festivals devoted to the needs of local audiences. Case studies assess the shifting fortunes of Asian film festivals, such as Hong Kong and Pusan, exemplary, cinephilic festivals, as in Vienna, Kino Otok, and Trieste, and one catastrophically mismanaged festival: Bangkok. The volume concludes with an exclusive interview with the fimmaker Atom Egoyan, whose career has been nurtured by his participation in a variety of international film festivals. The recent boom in independent filmmaking has been both a boon and an added challenge for aspiring directors. While the chic status of festivals like Sundance makes it easier for a few hot new directors to find major distributors, other worthy films risk being lost amid a sudden flood of contenders. Chris Gore, editor of Film Threat magazine, has written the Ultimate Film Festival Survival Guide to help the aspiring auteur rise above the tide. The book is chock-full of practical down-and-dirty advice. Every aspect of submitting to and attending film festivals is covered, from an exhaustive listing of festivals and their entry deadlines (the Turku, Finland, Lesbian and Gay Film Festival deadline is in July, so get cracking) to what to wear to the industry party you'll be crashing (big pants with big pockets, the better to stash giveaways and whip out business cards). You can even find a listing for the best bar in the Ukraine (Eric's in Kyiv) and a sidebar of handy tips that will keep you on your projectionist's good side. Not fully read but looks good. I have not read this book completely but what I did read looks very good and informative. 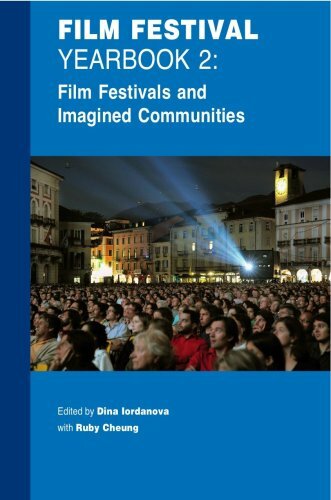 This work provides the most comprehensive insight into the film festival environment.If you are a festival fan, film maker or festival sponsor this will certainly help you maximize your effort (and avoid those little stupid mistakes!). The independent film business has changed dramatically during our economic downturn.If you want to learn from others' mistakes and enhance your chance to be successful, this is a mandatory addition to your bookshelf. Helped us achieve a nomination for our film "How the Game Is Played"
We recently entered the New York International & Independent Film and Video Festival in December of 2008. 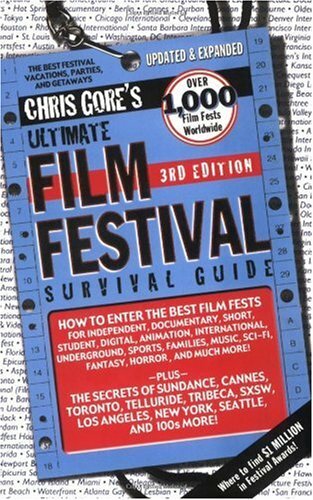 We purchased Chris Gore`s Ultimate Film Festival Survival Guide to help us become familiar with the festival world. We learned so much from the book that our 1st film festival was a complete success! We were really involved and created a buzz about our movie, that ended up with a full audience and resulting in a standing ovation! To top it off the film did so well the festival staff asked us to stay and give a 2nd screening which no other film received this great honor! We owe a lot of our success at the festival to Chris Gore`s wonderful book, we knew exactly what to do, it was like we had been attending festivals our whole life`s, and boy did we have fun! We just received our nomination for an award, which will be presented at the next festival in March of 2009!How the Game Is Played is also available on amazon.com! I am an independent filmmaker and run my own film festival in Utah, called The Gangrene Film Festival. I have striven to find a short list of film festivals that have good patronage and excellent exposure in which to enter my short films in. The truth is, the film festival scene is so saturated with fly-by-night film festivals that merely searching with Google only gives you a huge list of podunk festivals that aren't worth your while. Chris Gore's book is an excellent resource to help weed through the white noise and get at the festivals that will truly find you exposure. He categorizes festivals into different groups, those with high-exposure, middle-of the road fests, and all the rest. He also categorizes festivals by genre, which I found particularly useful. If you aim to send your films to the festivals, make sure you start with Chris Gore's book. It is absolutely comprehensive--the only festival guide you will ever need. Thanks, Chris, and keep going man. Very insightful, thoughtful, frank guide to navigating the shark-infested film festival waters, with many great ideas on promotion and tactics. I have played the woeful film festival game many times, and still found great new ideas and inspiration. Kudos! 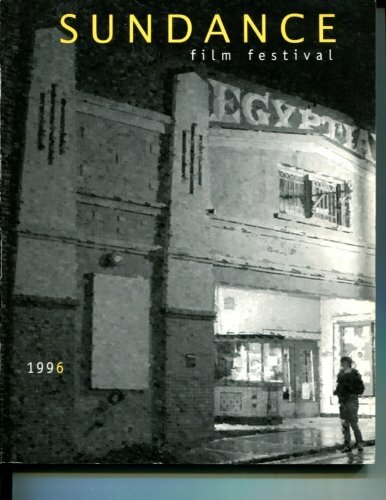 Chris's "Film Festival Secrets" book appears to be an excellent guidebook to the independent film festival circuit (I say 'appears' because we are about to jump into this world with our first feature drama TRIUMPH67). I found the writing to be informative, easy to digest, and quite exciting. 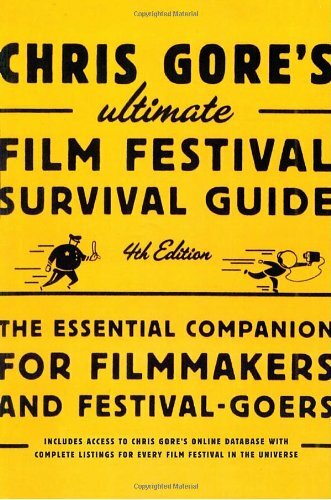 Filled with great advice and festival insider tips and tricks, this handbook for indie filmmakers is a must-have and I've already recommended it to several other budding film directors and producers. I think you will really enjoy this book, I sure did. Thanks, Chris, for putting out this resource. 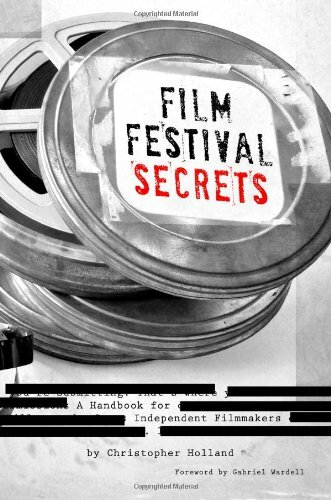 The book, "Film Festival Secrets for Independent Filmmakers" is not what I consider to be a worthwhile read. It would have been more useful for me if it was not too short and not too long, I was getting bored very quickly. Mr. Holland's book presents extremely practical advice on how to navigate the film festival world, from submitting your film to getting the most out of your experience at the festival, and following up with your contacts afterward. He even includes xtra tips for filmmakers of shorts, who normally get pushed to the side in favor of the feature length films at major festivals. Excellent advice for any indie filmmaker, written in a down-to-earth style. It's a keeper. Surviving and thriving in Park City at America's most important film festival. Independent film at 7,500 feet! January in Utah - for 10 days, the normally sleepy mountain resort of Park City becomes the focus of the movie world, as 50,000 people descend on the town to sample the year's finest independent films, do a little business, and partake in all that is the Sundance Film Festival. 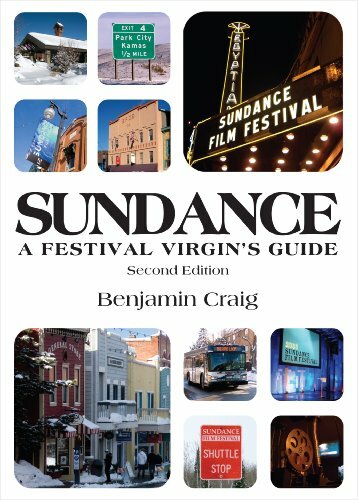 Sundance - A Festival Virgin's Guide is the essential handbook for filmmakers, film fans, and film industry professionals looking to attend the festival. Demystifying the event and providing practical advice for attending, Sundance - A Festival Virgin's Guide is about helping you make the most from your visit to Park City and America's most important film festival. 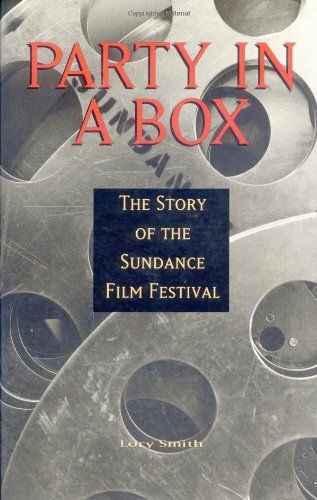 Originally created with the assistance of the Sundance Institute. Great articles about the fests. You can tell that there is knowledge to back up the passion in the writing. Kenneth Turan, Los Angeles Times and NPR film critic, has traveled the world to watch movies at film festivals so that the viewing public can learn about new, upcoming films and the stars and artists that make them. Along the way, he has seen it all, from the upstart come mega-festival Sundance to little known venues in war zones like Sarajevo, Bosnia and Burkina Faso in Africa. 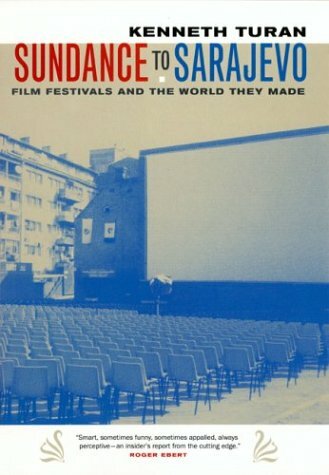 Now, Turan has written a delightful travelogue of his experiences, focusing on 12 of the more than 400 film festivals each year. 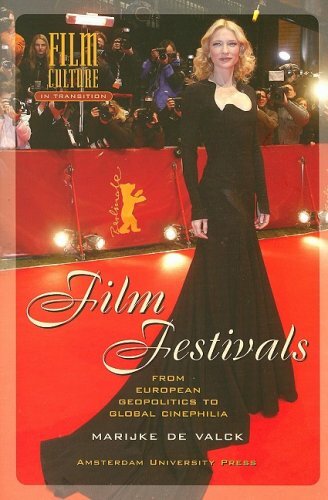 The festivals he spotlights are divided into four sections: Festivals with Business Agendas (Cannes, Sundance, ShoWest), Festivals with Geopolitical Agendas (Burkina Faso, Havana, Sarajevo, Midnight Sun), Festivals with Aesthetic Agendas (Pordenone, Lone Pine, Telluride), and some failures under the section of the Politics of Festivals. From the food to the people to the landscape to the cities to the films, Turan feeds us the flavors of each festival; but, that is not all as we get all the juice and details from behind the scenes of these festivals, and we really learn how they tick. If you are a successful filmmaker, you will enjoy the nostalgic ride; if you are an inspiring filmmaker, there is much to learn before you visit your first festival as an insider; and, if you are a film buff, then you will enjoy the ride with Turan as he visits the festivals in ways we can't. Come along and visit the place where big Hollywoodland meets the independent spirit of film. I don't know when this fest guide came out, but it's a revelation. As an indie film producer and festgoer, I've waded through all of the hype and junk on festivals. They fall into two categories; either they're stodgy anddry or they're filled with crap about where to go dancing and/or be seen.Festivals cost a lot of money and time to attend and thank God the expertsat Variety have cut through the nonsense and delivered a book that istimely, informed and concise. This festival guide cuts to the chase. Also,having been around the intl. fest scene, I know the names like Peter Cowie,David Stratton, Gerald Pratley, Derek Elley, et al. These people know theirfests and they can't be bought off, which I suspect is the case with someof the nonsense I've read in books that supposedly help you"survive" fests. Total snoozefest! Helpful only if you're a complete bore! This has to be one of the most boring books I've ever read. Follow this book, and you'll end up waiting tables in no time. 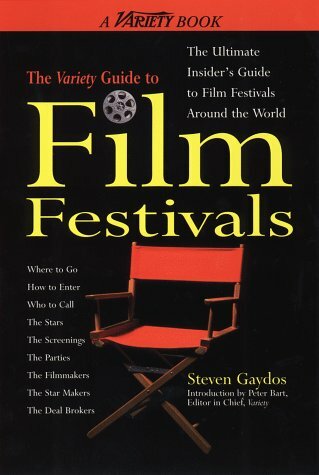 The film festival guide by Chris Gore is a much better, more informative read. Avoid thissnoozefest! I expected quite a bit more from the staff of Variety but this compilation of articles reprinted from the archives of Variety lacks focus.It is unclear who this books is for -- the filmmaker or the traveller?The thincontent satisfies neither.In addition, there are glaring inaccuracies inthe listings and appendix such as the phone number for the Sundance FilmFestival, which is wrong.How could they get this number wrong?! Also, thebook is only a paltry 197 pages, not the 288 pages mentioned in the bookdescription.Buyer beware. Also omitted is the Franco-Spanish Film Festival -- held in Miami last year, sponsored by the French and Spanish governments,a venue mostly for Latin American films co-financed by the French and Spanish. It has beengoing for at least two years. Another indication that this compendium offilm festivals is neither all-encompassing nor up-to-date. 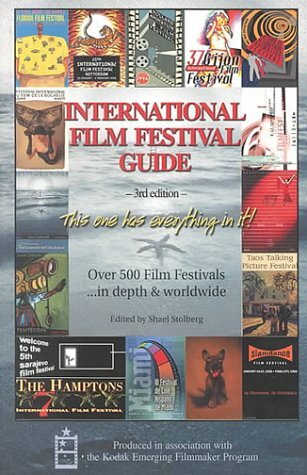 This guide offers a wide range of unique information onover 500 film festivals around the world. Excellent for anyoneinvolved in the film industry at any level. Attorney John Sloss writesits foreword. He is according to the Hollywood Reporter " thequintessential indie lawyer[whose] projects are quality all theway".The guide also has feature articles which include the making of"Cuba 15" an award-winning short film by its creator Elizabeth Schub,the benefits of travelling festivals and first hand coverage ofdifferent festivals throughout the world. It also includes a listingof producers and distributors, and film schools. Produced inassociation with the Kodak Emerging Filmaker Program. 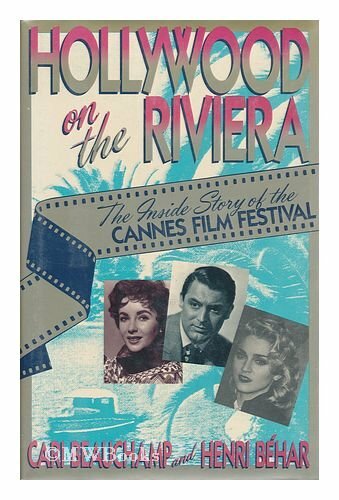 With online listings readily available, the listings in this and other film festival books are not particularly relevant. This one in particular, since it is three years old. The value of these books, then, is the commentary. IFFG has some good stuff, specifically the first-hand accounts, by filmmakers, of their experiences at many different festivals (though sadly they too often consist of reviews of the movies that played at these festivals, which is especially irrelevant four years after the fact). Overall, it is a useful tool for filmmakers trying to decide which festival to attend, though I would say it is inferior to the Gore book in this regard, and quite dated. Unfortunately, it is marred by absolutely the worst editing I've ever seen. Every page has numerous typographic and grammatical errors, something that is especially ridiculous considering that this is a 3rd edition. The mistakes are consistent across the many different authors who contributed to the book, so these are errors of commission, not omission. My favorite is the use of an enye (n with a tilde over it) for the word "in", which is particularly incomprehensible in a book with no spanish language content. My current theory is that the text was handwritten, then OCR'd into the computer and rushed to print. Essential reference guide for confused indie filmmakers! There are many upsides to this fest guide book, the contact information is first rate and the AMOUNT of international festivals blew me away! First of all as a low-budget filmmaker I had no idea there were that many festivalsout there for me! I also liked the articles from other filmmakers and I'mhoping the author will have more of that in the next edition. The guidecould do with a blast of color but really that's just minor. As a referenceguide, I've recommended it to my colleagues. Essential for indie filmmakers to tackle the fest circuit! This digital document is an article from Take One, published by Canadian Independent Film & Television Publishing Association on March 1, 2005. The length of the article is 1054 words. The page length shown above is based on a typical 300-word page. The article is delivered in HTML format and is available in your Amazon.com Digital Locker immediately after purchase. You can view it with any web browser.